Who doesn’t love cookies? 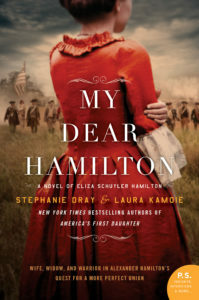 I was delighted to learn, while writing My Dear Hamilton with co-author Laura Kamoie, that it was the Dutch New Netherland families like the Schuylers who first brought cookies to America. Now, of course, Dutch cookies tend to be a little bit spicy. You might remember a scene from the book in which Eliza Schuyler Hamilton’s children are pelting one another with pepernoot cookies, also called pepernoten. And if you want to taste them, a good substitute is German Pfeffernusse which you can grab at your nearest Trader Joe’s while supplies last. Anyway now that the holiday season is upon us, I am sentimental about the role cookies have come to play in the holiday season for many Americans. From gifts to cookie-swap parties, we share this old colonial tradition, and it serves as a link to the past. So I’ve decided to share some of my own favorites with you. Stroopwafels — These amazing creations were designed just for tea–shaped round to place over the top of your saucer so that the heat will melt the caramel inside. Butter Cookies — Ubiquitous and in fun shapes! Shortbread — Simple, but always a favorite. Bourbon Balls — When you need something to give your party a little zing! Strawberry Cake Mix Cookies — Now this one is perfect for busy writers. White Chocolate Peppermint Cookies — For something frosty! 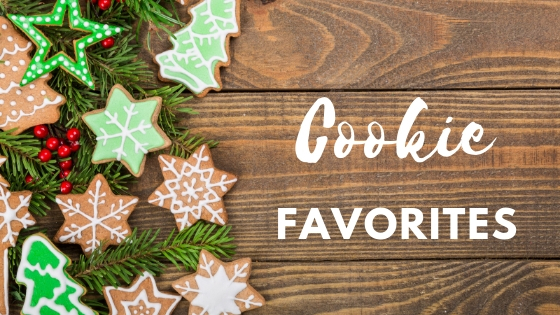 To keep up with my cookie favorites, my recipes, failed and otherwise, please see my Pinterest Board for more!